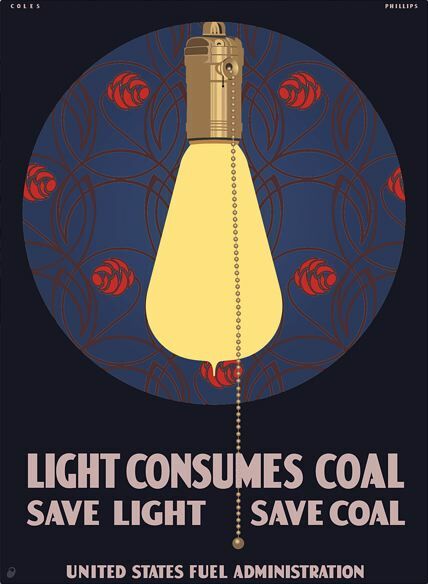 This message on this World War I era poster still holds true today: “Save Light… Save Coal…” A recent trip to MoMA in New York inspired me to create this reproduction when one was not available in their museum shop. Starting with a photograph I took at the museum I began by laying out the poster’s structure using Inkscape. Detail was added by layering shapes of the appropriate color—including color gradients to soften color transitions. The final poster was printed on a large format digital printer at our local Copies at Carson. 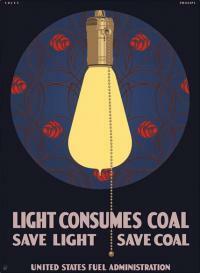 The lettering found in this poster is now available as a TrueType font.